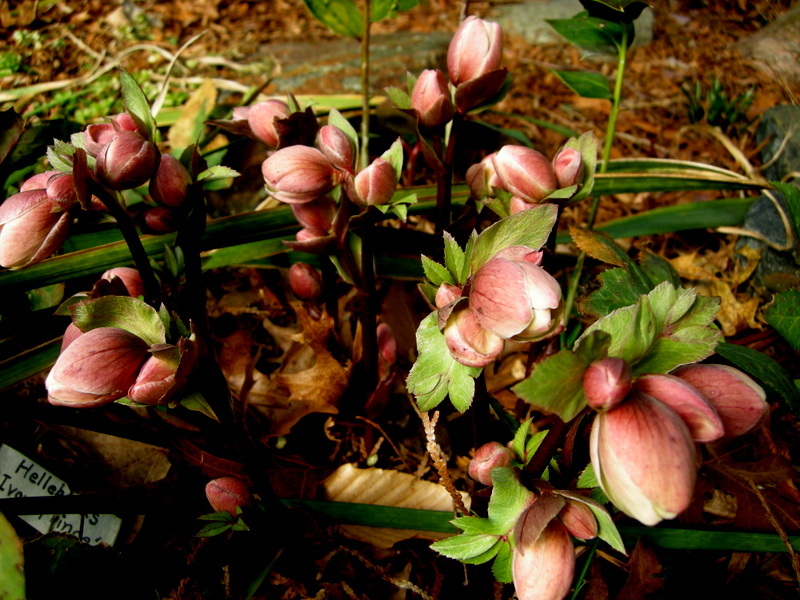 This entry was posted on March 4, 2013 at 8:52 pm and is filed under garden to visit, hellebores, Shade Gardening, snowdrops, winter, winter interest with tags Alan Street, Arum italicum 'Pictum', Bank to Bend Lecture, Bearsfoot Hellebore, Carolyn's Shade Gardens, Charles Cresson, Cotoneaster salicifolia 'Henryi', Cresson Garden, Crocus tommasinianus, Crocus tommasinianus 'Ruby Giant', Crocus tommisinianus 'Taplow Ruby', Eranthis hyemalis, Galanthus 'Brenda Troyle', Galanthus 'Mighty Atom', Galanthus 'Standing Tall', Galanthus Atkinsii, Galanthus Beth Chatto, Galanthus Godfrey Owen, Galanthus rizehensis, Helleborus foetidus, Helleborus x 'Ivory Prince', Helleborus x ballardiae 'Pink Frost', Helleborus x ericsmithii 'Winter's Song', Iris unguicularis subsp. 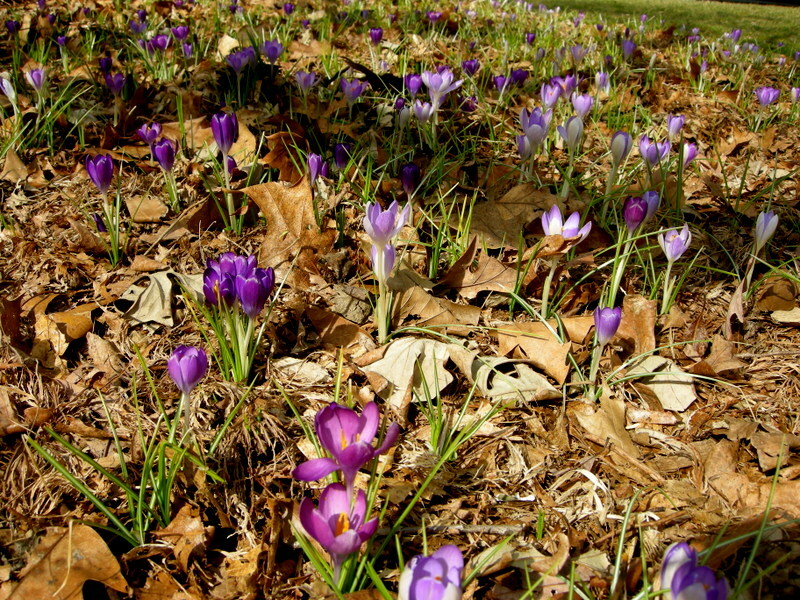 cretensis, Narcissus 'Rijnveld's Early Sensation', snow crocus, Swarthmore Pennsylvania, winter aconite, Winterthur. You can follow any responses to this entry through the RSS 2.0 feed. You can leave a response, or trackback from your own site. I love all blooms at this time of year! And I have become enamored of hellebores lately. But I can see why you love the little snowdrops. So sweet, so delightful, and each so different. I love the way Godfrey Own opens up like an umbrella! So great to see things blooming. Here in Boston we still have snow on the ground. I want “Godfrey Owen” in my garden next year. Think it can thrive this far north? It’s interesting that we now experience what I think used to be normal winter temperatures as unusually cold and spring as late. 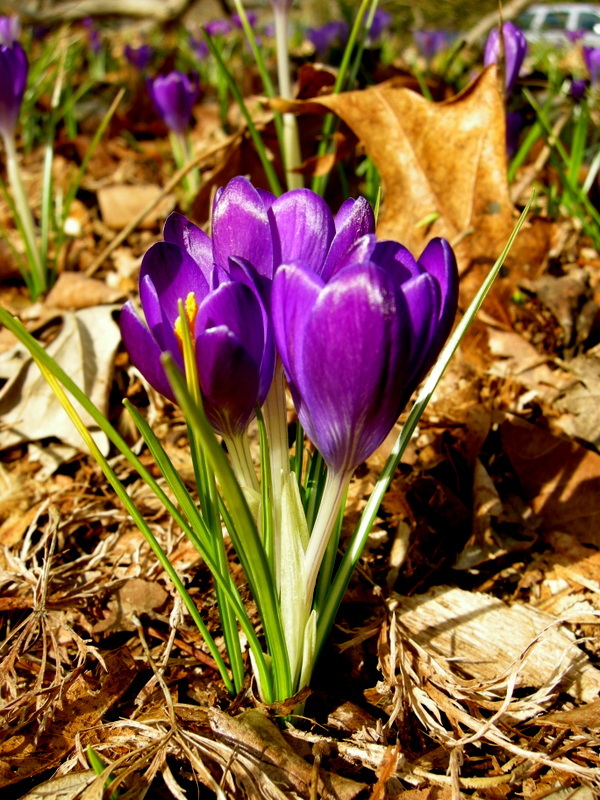 Last year, I had crocuses in bloom by now; today, I just saw the first signs of their foliage coming up. Once again, I didn’t manage to get to the flower show. I think I just need to face the fact that this comes at a bad time in the semester for me, just as I’m getting ready to go up to Maine for spring break. I do hope to get to the Boston Flower Show while I’m home, though. 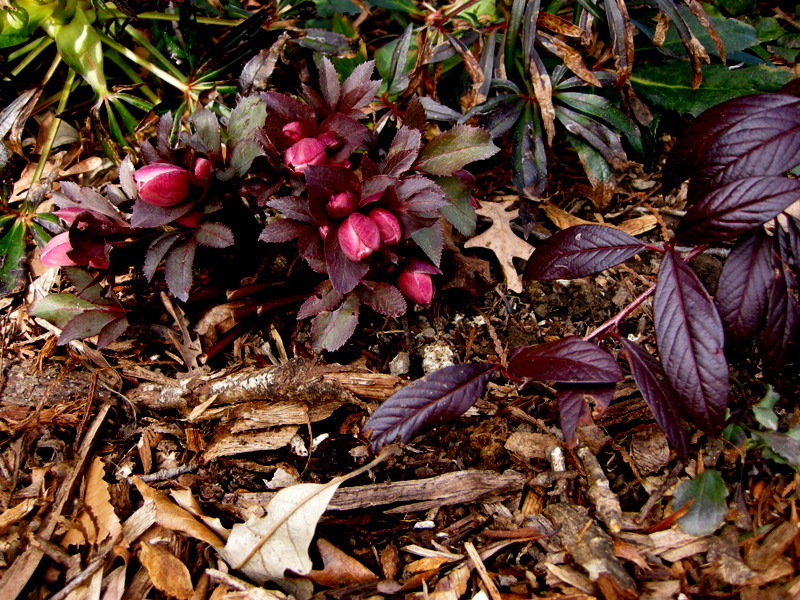 Thank you for the “virtual” tour of Charles Cresson’s winter interest plants, what beauties! 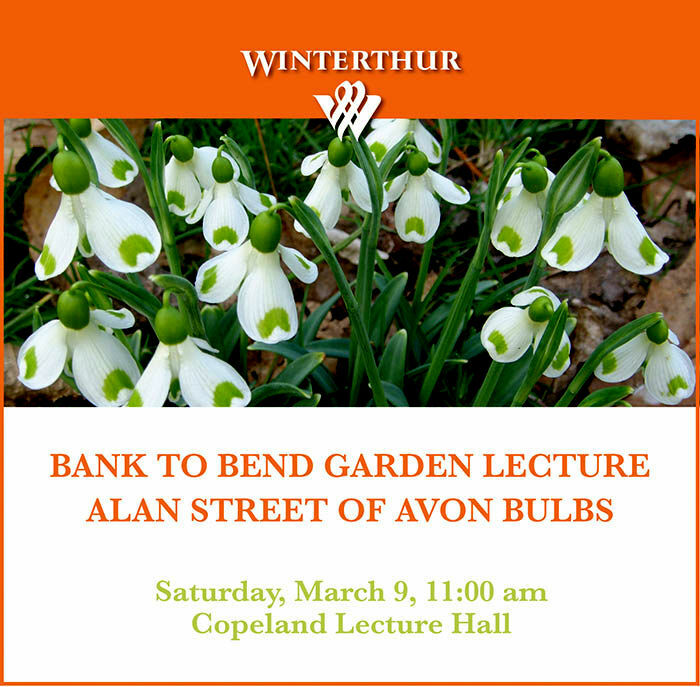 Winterthur is on my “to visit” list, I will be planning to visit at “Snowdrop time” one of these days.. I wish I could drop everything and come this Saturday, drive up so I have a car to stash some newly acquired snowdrops.. very tempting. 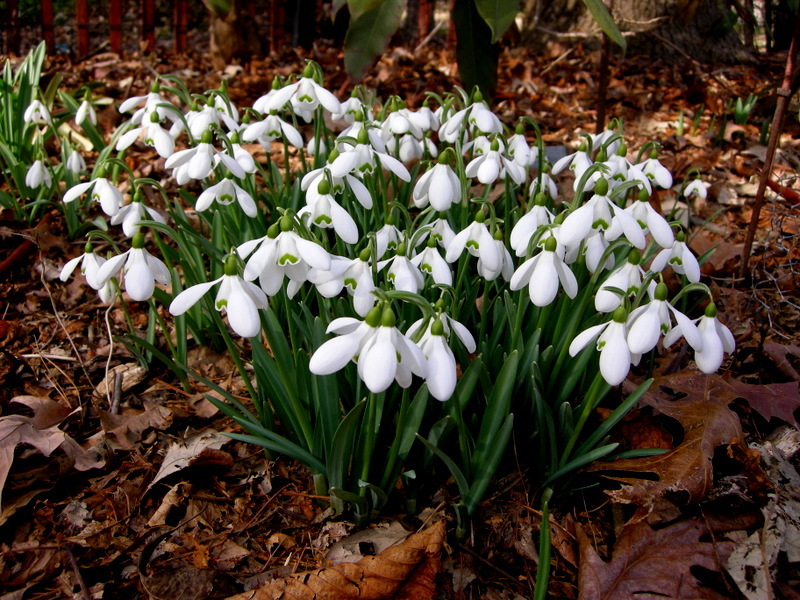 What a lovely post, but then you know how much I love snowdrops! Alan Street of Avon Bulbs is where I buy most of my snowdrops, he is just 1 hour away from me. Love Godfrey Owen, but I am waiting for his price to come down!! Such a lovely selection of winter flowering plants and bulbs, enough to draw anyone into the garden, no matter how cold it is! Good luck on your sale. You really showed a superb selection of winter bloomers. I love that iris. I wish I could get down on the 9th, it sounds like a wonderful event. Like your area, here is also cold and we have quite a bit of snow. I will not be seeing any blooms for a while I think, although next week we go from 20° today to 42°. What a difference. 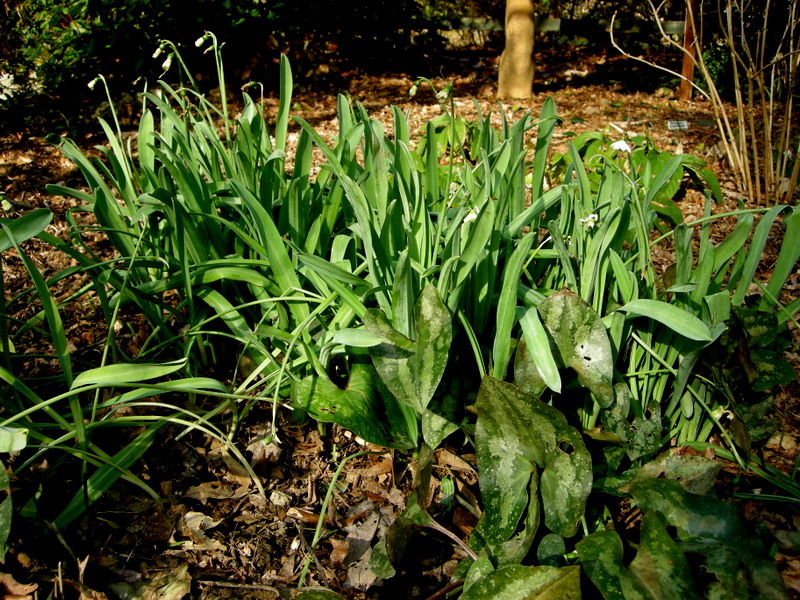 I have been treading out to the spot where I planted several very special Snowdrops I got from you several years ago. They are thriving just fine, and it’s so much fun to go out there and bend down and check out their amazing beauty. I’m thankful to have them. Godfrey Owen is a bit special, isn’t he? 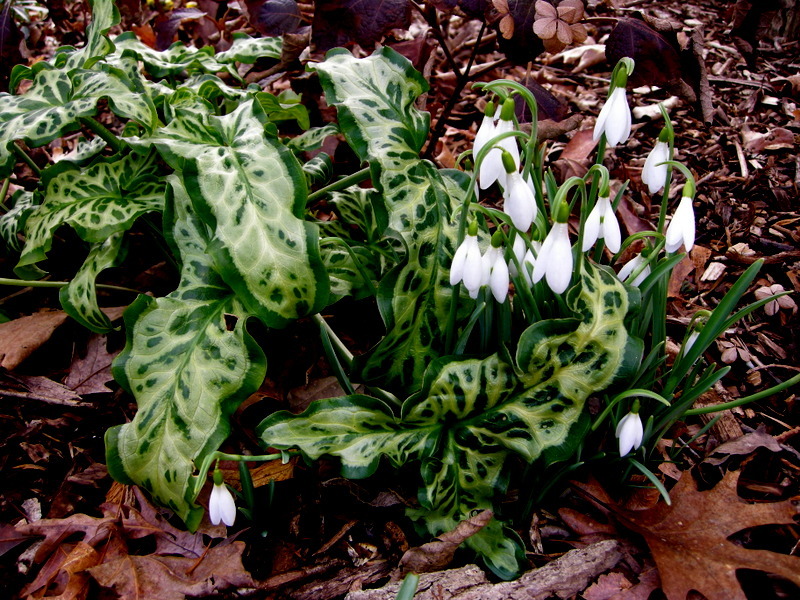 There are some beautiful plant combinations here – I love the Arum/Galanthus one. Thank you for sharing these beautiful photos – it is rather indulgent to have a winter tour while snuggled up on a sofa, although immensely enjoyable! Love you pictured and your articles. But love of snowdrops is not an addiction but a passion. Addiction is a real life problem and your passionate interest in snow drops etc. is healthy! 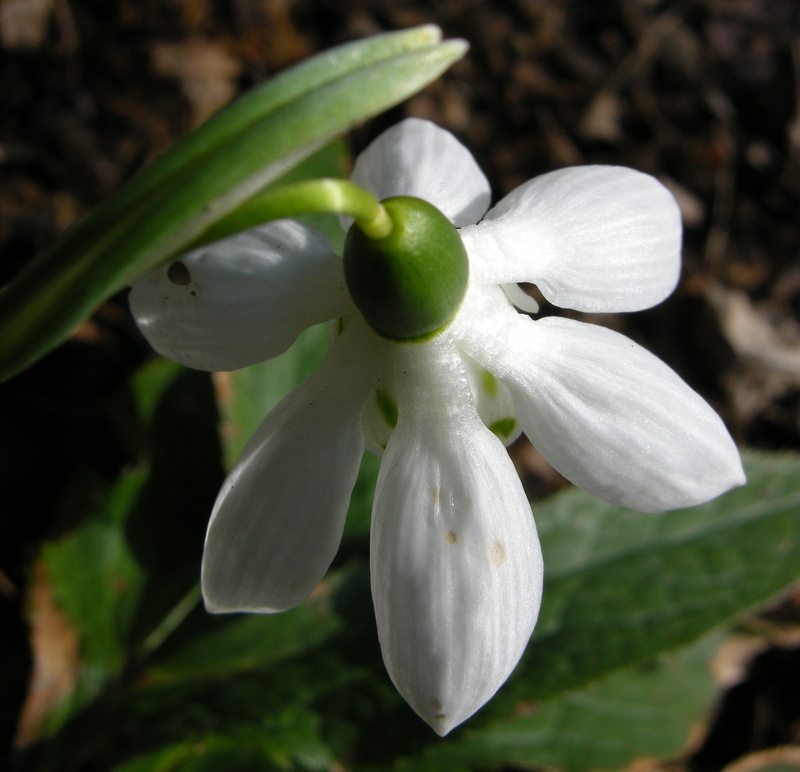 Carolyn, while the world of snowdrop enthusiasts constantly chase after the novel and different it is good to read you recommend one of the old reliables, G. Atkinsii. It is well to remember that it is old and commonplace simply because it is a healthy plant, grows well, and people like it. 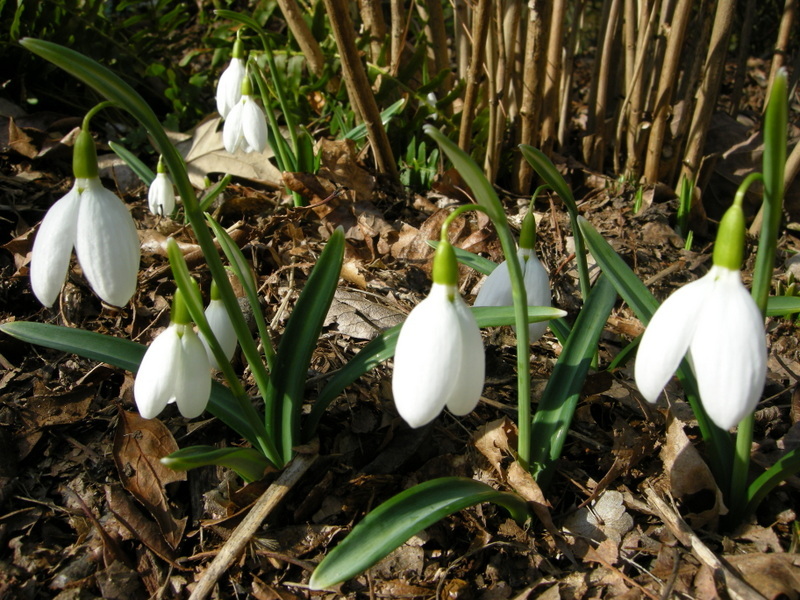 To me it is one of the outstanding snowdrops in the garden . 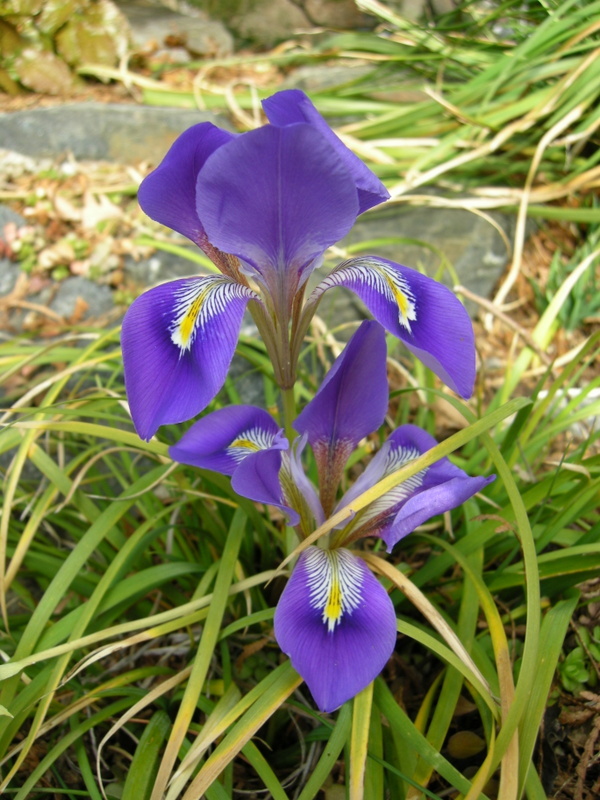 While I also grow G. ‘Godfrey Owen’ it, though beautiful, will never have the garden impact of G. Atkinsii. It is that category of little gems that we admire in detail but a clump would not catch your eye in the same manner as a clump of G. Atkinsii. Sometimes the old ones are still the best. 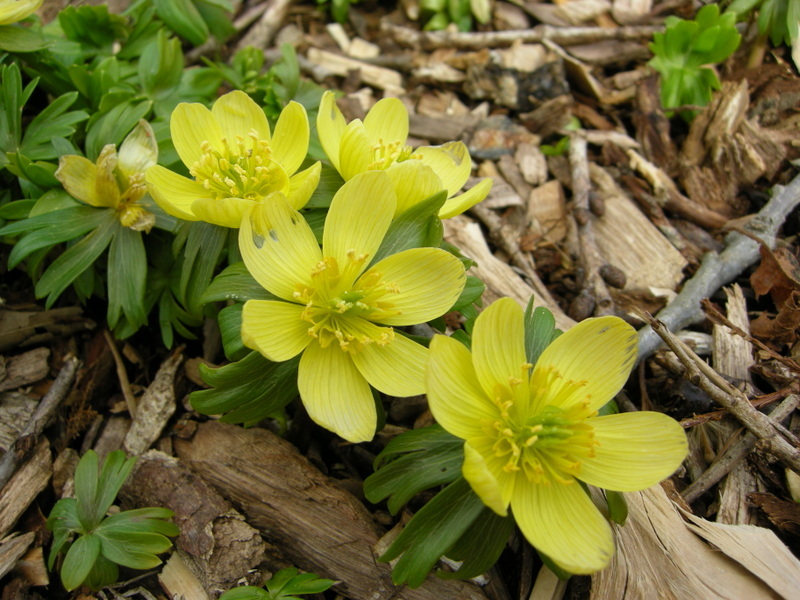 Carolyn, I’m interested in collecting different winter aconites. Would you consider selling them in the green, too? I am intrigued by the cotoneaster, what pretty foliage. Will check it out further. I am afraid I am one of those not so interested in snowdrops. I can’t really tell how they differ, apart from the Owens – it is a nice looking plant. Regardless I love visiting your blog snowdrops and all. It must have been a wonnderful visit. Now I wish I ordered every one of your snowdrops offered this year (but you know that darn thing called money just doesn’t stretch far enough!). 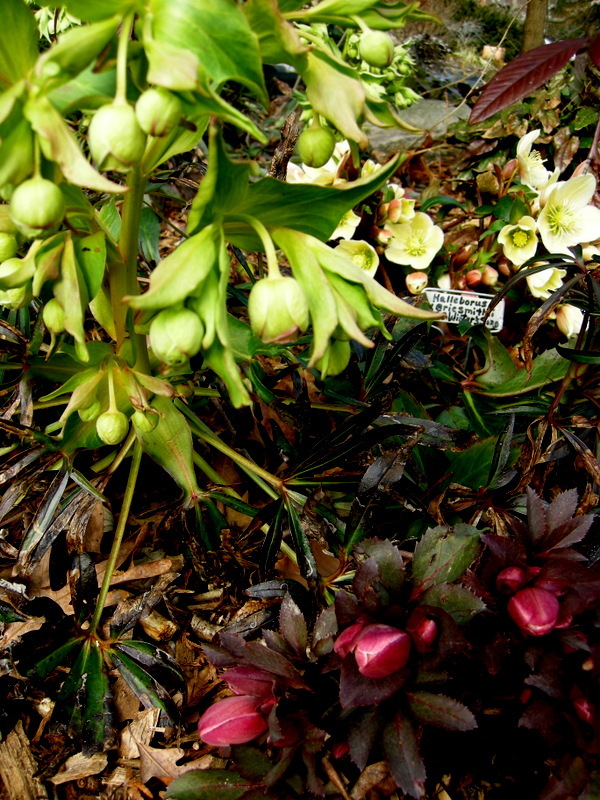 Those hellebores look wonderful too. I can’t imagine having that much in bloom this soon. 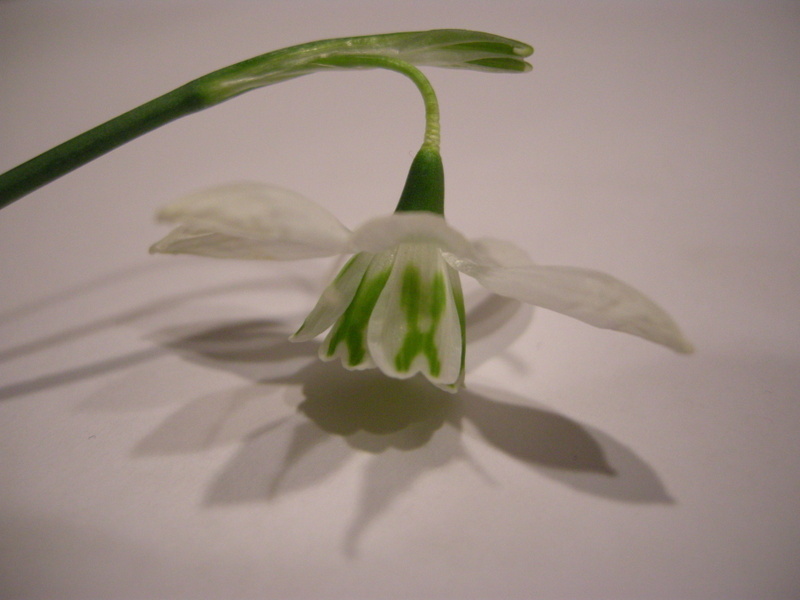 On a very happy note, my snowdrop order arrived today and I was able to tuck them into the garden. It was nice to dig in the garden for the first time this year. I hope that you carry on posting about snowdrops as I am just getting to know them. I see your point about Mighty Atom, three petals looks aesthetically better to me. 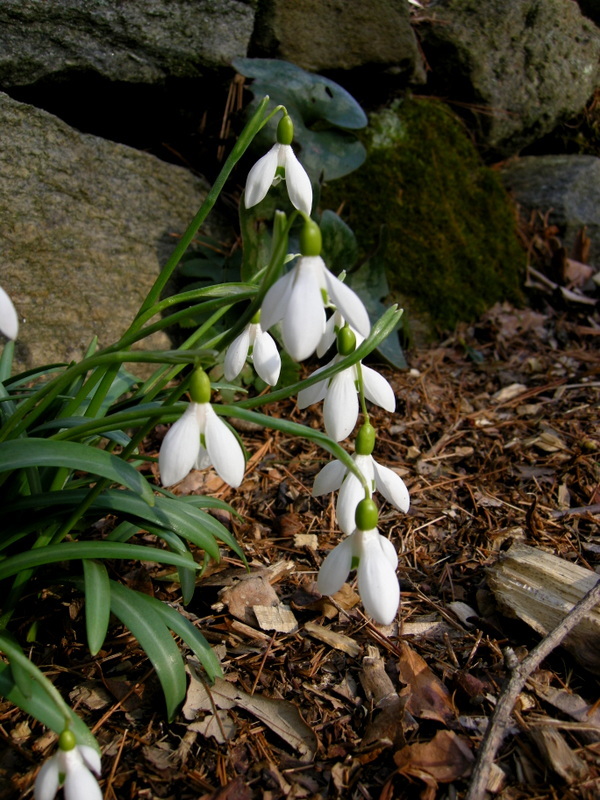 I love when you post about snowdrops because you show so many different ones…wish I had the money to indulge my addiction…wonderful that you are at Winterthur and I love the events you have. Gorgeous winter photos! The more you post about snowdrops the more they grow on me. Carolyn, what a fantastic collection of snowdrops!!! last picture: perfect! I hope to visit your nursery some day and enjoy (shine or rain!) 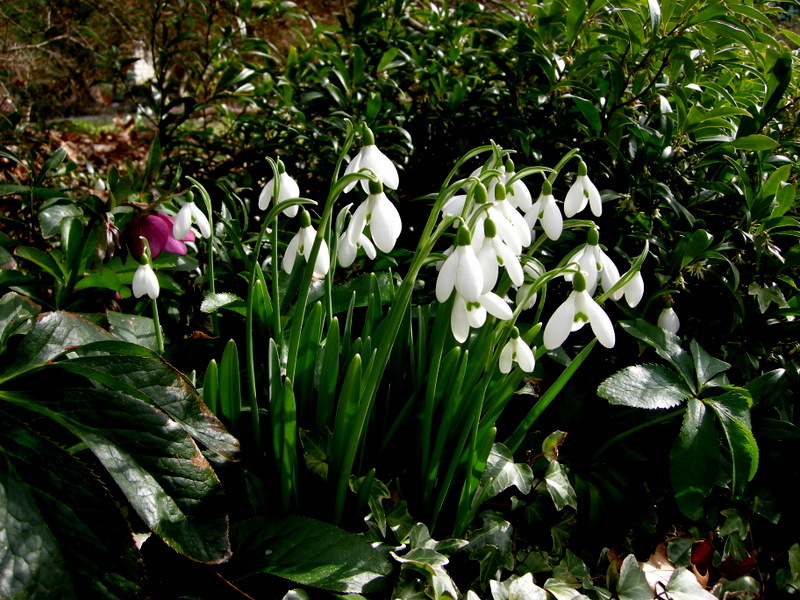 your snowdrops and hellebores Great weekened! 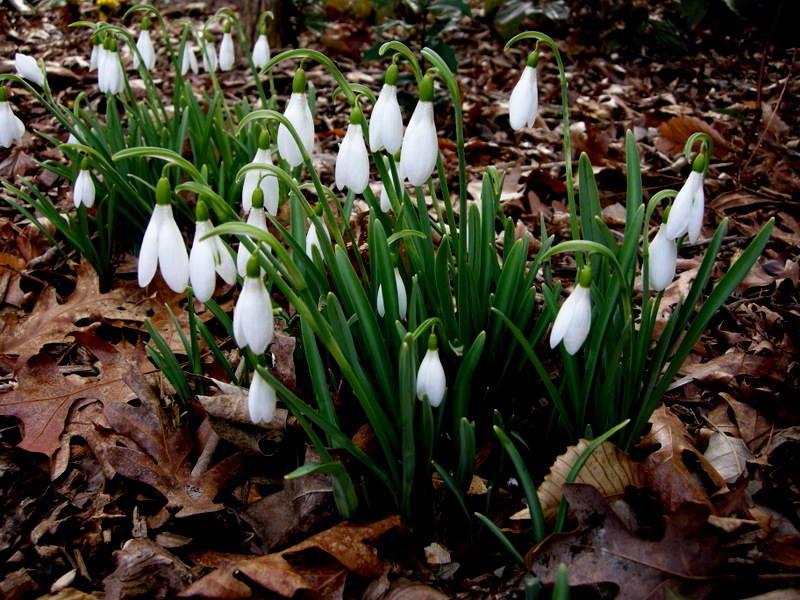 How can anyone get tired of snowdrops?! They are so incredibly sweet and cheerful. I added approximately 200 in a forest border this fall/winter (as I didn’t get them all planted in a timely manner), and I’ve had a nice staggering of blooms. 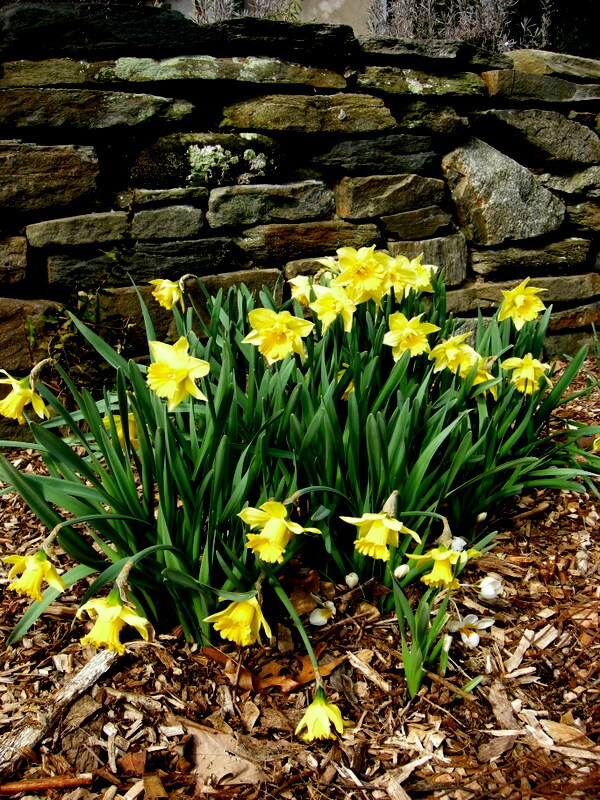 I can’t wait for them to establish and make lovely, lush clumps of blooms as in your photos! What an incredible event–I wish I lived closer so I could attend. Thanks, though, for sharing your beautiful photos! Carolyn, thanks for yet another great and informative post! Every time I visit your garden I find another few plants I wish I could have. My snowdrops are coming to an end now but I have ordered 150 snowdrops in the green and they should arrive this week, possibly still in flower. 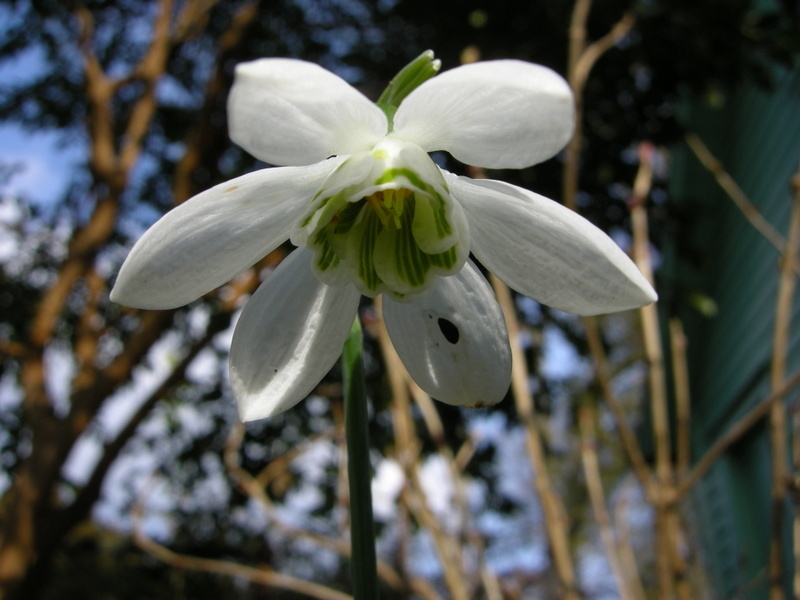 Nothing special, can’t afford that, I have ordered Galanthus nivalis and Galanthus ‘Flore Pleno’ and from before I have Galanthus Woronowii. Would really like some of the more unusual ones but they cost too much. They sell 44 different snowdrops where I have ordered from, plenty to choose from! 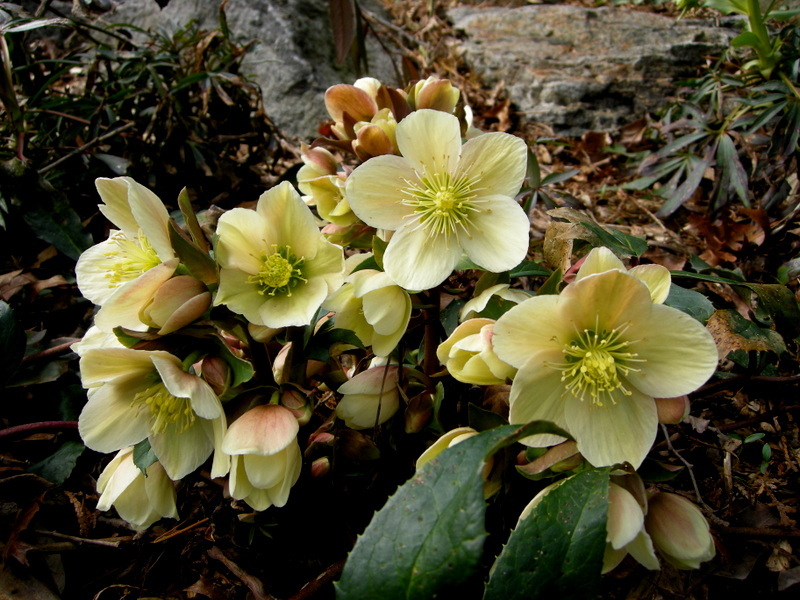 But one plant I have put on my wish list after reading your post is Helleborus ‘Pink Frost’, it is beautiful! Can’t get enough of hellebores, I have two more on order coming soon. Looking forward to your next post. I have never bought snowdrops in the green by mail order before, only in pots in garden centres. 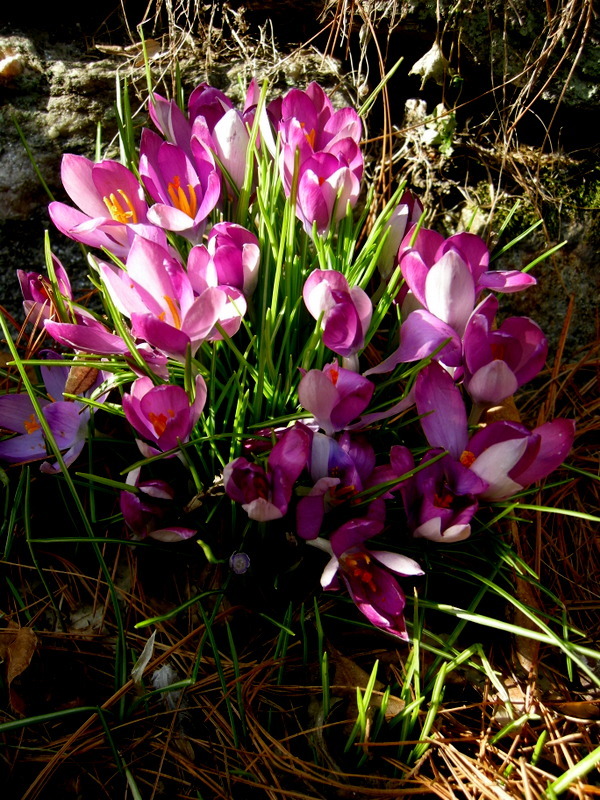 The flowers look a bit dried and sad but the leaves and bulbs look great. I think I will have to brave the light drizzle we have today and get them all in the ground as we are expecting 10 degrees colder weather tomorrow and snow. Spring we had last week was a brief appearance. That Italian arum/snopdrop combo is stellar! 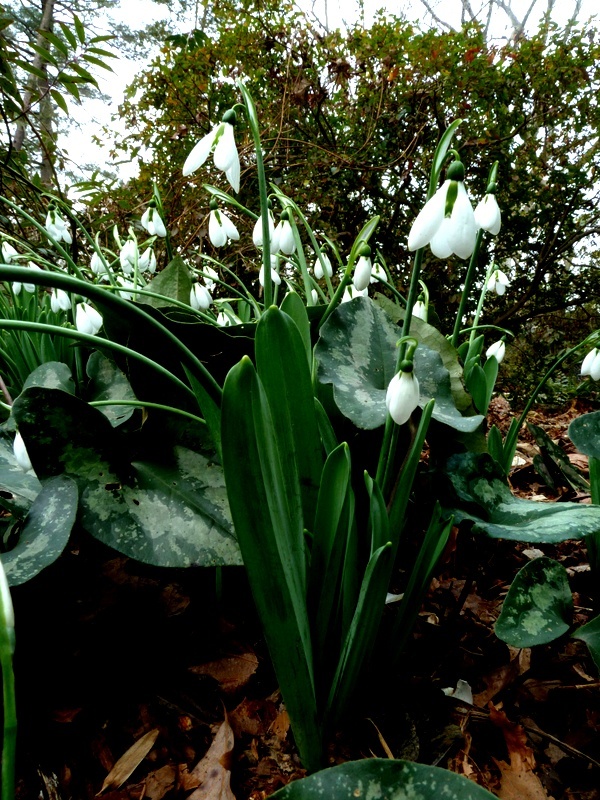 I’ve never seen a snowdrop as showy as ‘Godfrey Owen’, either. Great photos! 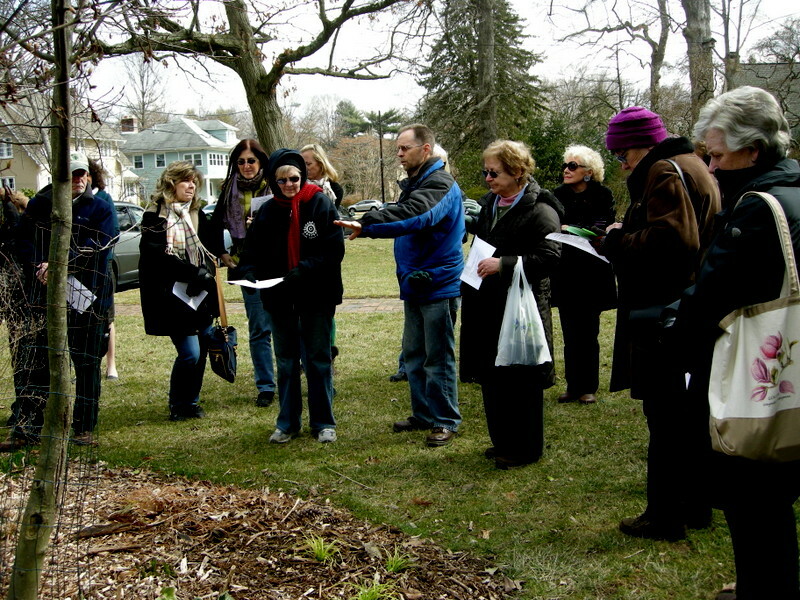 I knew they were die-hard gardeners when I saw the group in their coats, and so many of them smiling! 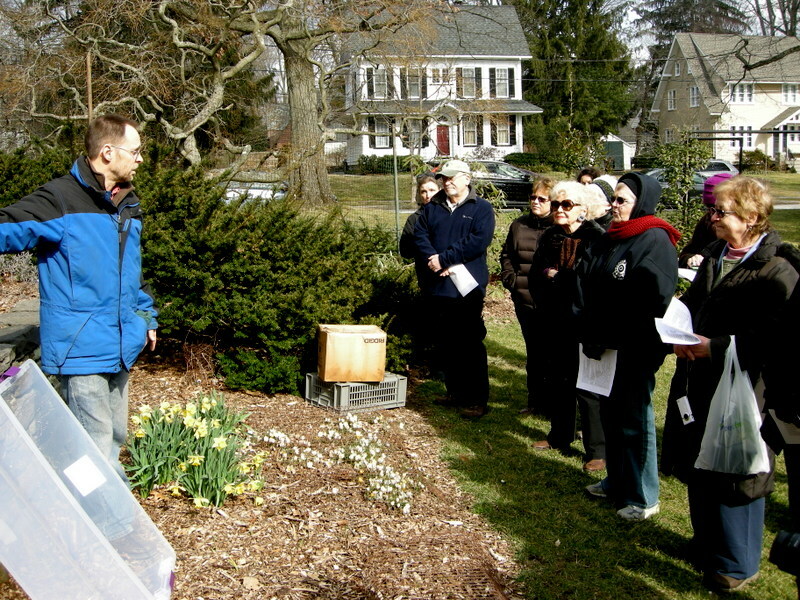 Nothing like beautiful plants, a knowledgeable garden master, and fellowship with other gardeners to warm up the atmosphere!